Our roots play a big part in the design choices that we make throughout the rest of our lives. I grew up in an old carriage house, surrounded by antiques AKA “old stuff”. Our house had a weather vane, tongue and groove wood paneling, stained glass windows and nine foot high ceilings. These are just some of the details from my upbringing that tie me to this style. * I just returned from a visit to New York and while there, I lucked out with a thrift shop find. 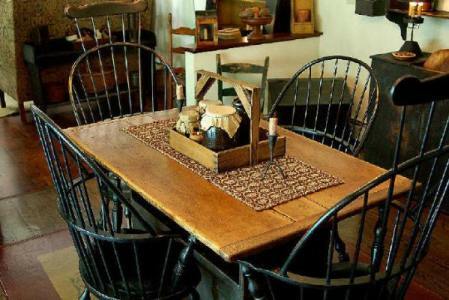 I bought a Windsor Chair like the ones seen in the photo above for $20.00. I looked it up in an antiques catalogue and it is valued at $1,000.00 – $1,500.00!!! Primitive Country has American origins, but the look can be easily translated into other cultural lifestyles. Aged wood, braided rag rugs, quilts, patchwork and tin stars are all elements indicative of this design style. Here are a few good examples of ”Primitive Country”. 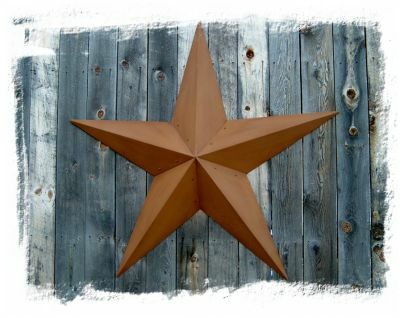 Tin is a common material used for decoration and durability, the tin star being one of the most popular motifs. I have also seen lanterns and overhead lighting fashioned in the same spirit. 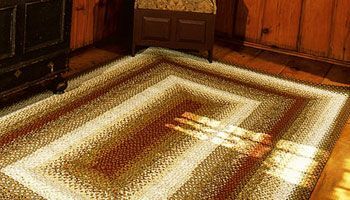 Our house had braided rag rugs everywhere, those rugs were oval but I like the idea of a square rag rug like the one shown here. I love the weathered chest pictured below. This kind of simple wood work is a close relative of Shaker style furniture and can be incorporated into any eclectic room setting effortlessly. 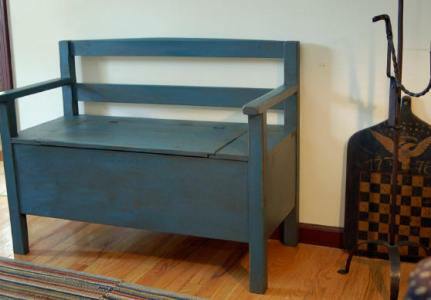 Early American furniture was usually multi-purpose like this storage bench that has a door for a seat. Back then when heat was mostly generated by wood burning stoves, blankets were in their hey-day. Where there are blankets there must be storage, some things never change. Now here is someting that you can easily make yourself. IKEA has a storage box that looks a lot like this one. 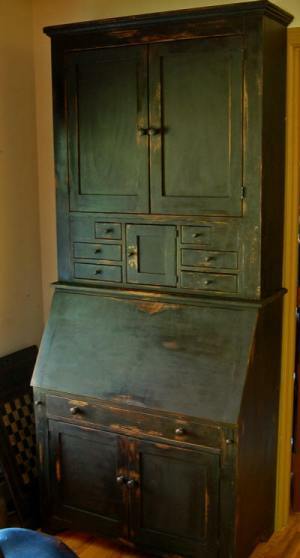 Slap on a bit of turquoise stain and you have Primitive Country Style at your fingertips. 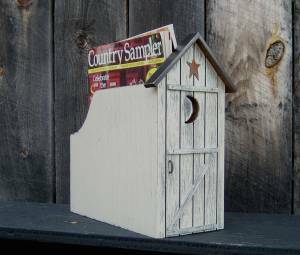 And then there are the Tchochkes… How about an “Outhouse Magazine Holder“? Yikes, I lost it on this one! This entry was posted in Design, furniture, Tchochkes by Patti Boker Elkon. Bookmark the permalink. I think it’s Country tush…! I introduce my name is wiriajaya. I love to see your site. Design styles: Primitive Country is beautiful. 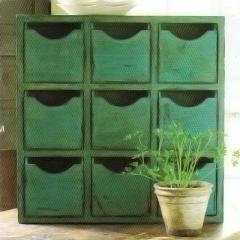 love the weathered chest.I think it would look great in a southern plantation style home.